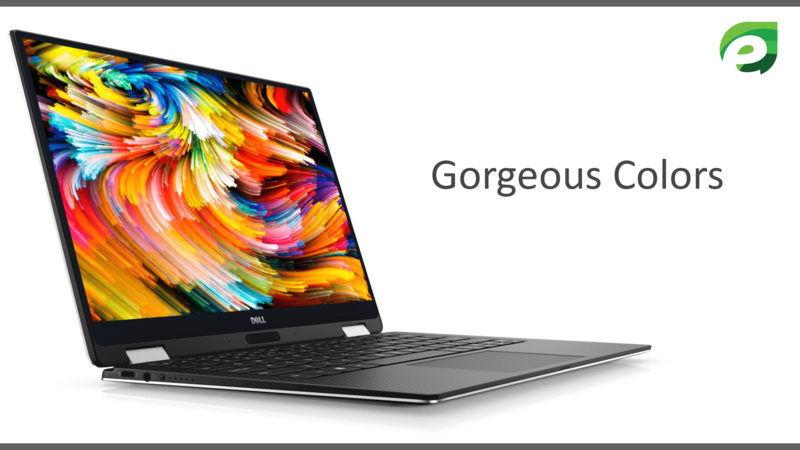 Dell XPS 13 is back from 2016 with the more advanced specification that includes it’s Intel Processors and InfinityEdge display. 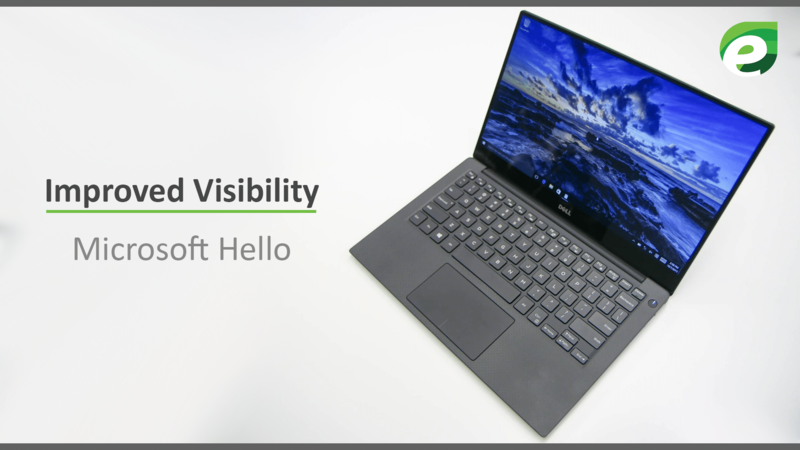 It has upgraded its XPS 13 in late 2017 with new 8th GENERATION Intel Core Processor, specifically the core i7-8550U for controlling the multitasks. At the time of its publication in October 2017, it costs $1,129 but later on, it went on sale for $1,149. XPS laptops are often discounted. It is available in silver and Rose Gold color, with an anodized aluminum top and bottom lid. You can choose any of the two colors of your own choice. It has a compact and attractive design, it has great CPU Performance and above all, it has all day battery life. So, you don’t have to worry about its battery life. The online website of the company is Dell. 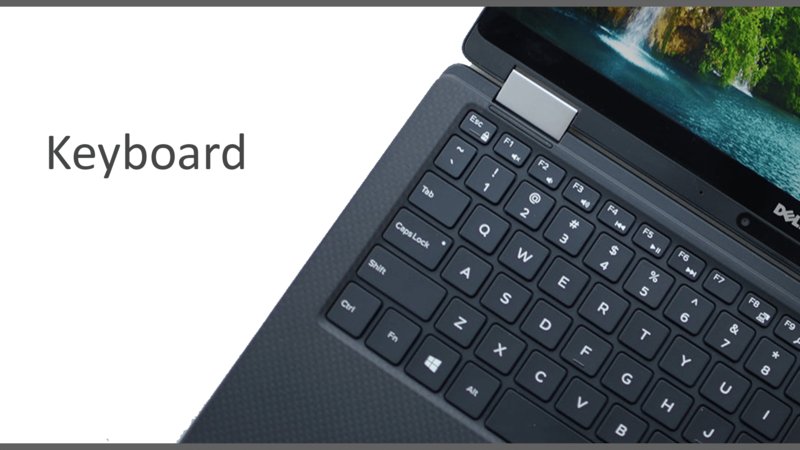 It is a very unique feature of Dell XPS 13. 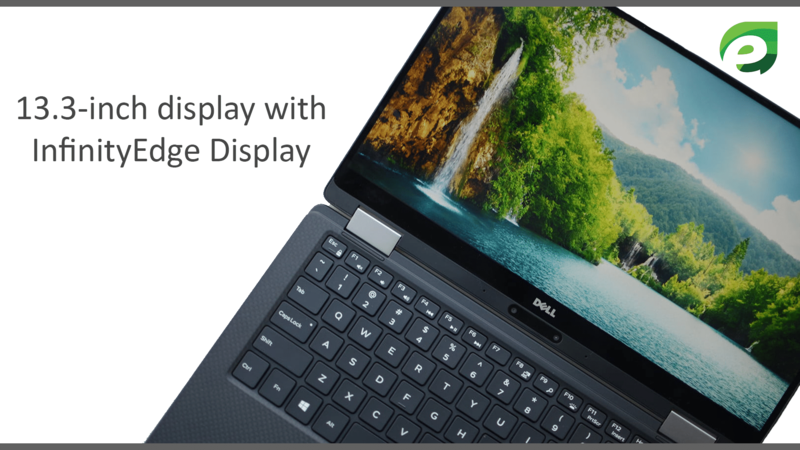 The borderless InfinityEdge display maximizes the screen space by squeezing 13.3-inch display in an 11-inch frame. It has a bezel of 5.2 mm thin and weighs only 2.7 pounds. On a whole XPS 13 is thin and light, which is an attractive feature to buy XPS 13. It has a wide display of 13.3” QHD + (3200 X 1800) 276ppi IGZO IPS InfinityEdge Touch display, 400 nits. It has rounded corners that make it easy to slip inside and out of a laptop bag or any backpack. The touchpad size is about 4.1 x 2.3 inches. The content can be seen easily from near every angle with IDZO IPS panel, providing a view of wide-angle up to 170 degrees. You can enjoy brightest and gorgeous colors on your screen with a color gamut of 72% and have a contrast ratio of 1000:1, so don’t miss the chance to see all these beautiful color variations. In order to watch these dark and bright colors to get the Dell XPS 13. The keyboard is a standard Dell fare, with small keys. It doesn’t look over crumpled. The design of this keyboard matches with the MacBook Pro. New 8th generation Intel Core Processors offers increased performance with 4 cores. When you want to perform some multitasks at the same moment these cores will help you because more cores mean more increased performance. You can easily handle multiple applications running and showing better performance with Intel 8 generation quad-core processor. The Dynamic Power Mode, engineered by Dell, contributes extra processing power whenever you need. Dell Dynamic Power Mode with this new 8th generation Intel Core processor delivers up to 44% improved performance. You can enjoy about 13 hours of battery life when streaming Netflix content or browsing the web with Microsoft Edge. It has a long 60WHr battery. This battery is built on the laptop and the customer cannot replace it. 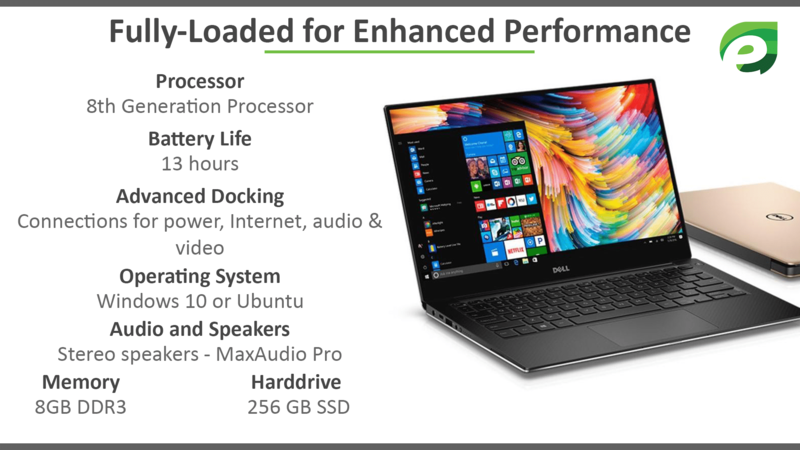 The Dell XPS 13 can be used with the Dell docking system, which features single-cable connections for power, Internet, audio, and video. It has Windows 10 Home Ubuntu as an Operating System. It consists of stereo speakers professionally tuned with waves MaxAudio Pro. It has a vast memory of 512 GB Psle Name Solid State Drive. It has a RAM( Random Access Memory) of 8 GB and ROM( Read Only Memory) of 16 GB. It has a one-year limited Hardware warranty. The hard drive size is about 256 GB SSD and its type is SSD. Now, you can enjoy free sign-in with the optional fingerprint reader that gives you a secure way to unlock your Windows Devices. Using your touch, the system recognizes you. In addition to this, it waves you in with a friendly hello and even works on apps and Microsoft Edge websites. The palm rest is made of carbon fiber. It’s strong and thin just like aluminum, but it is lighter and cooler to the touch. XPS 13 Is certified by ENERGY STAR. 90% of the laptop’s part can be recycled or reused, and some of the parts are 100% recyclable. 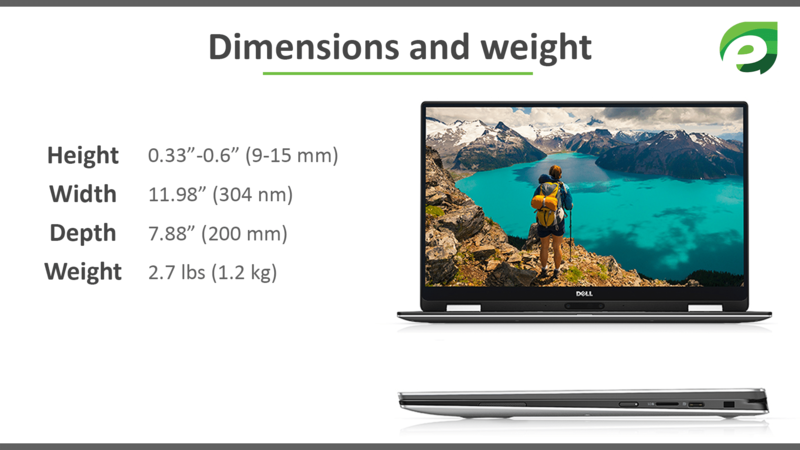 XPS 13 height ranges from 0.33”-0.6” which is about 9-15 mm. It has a width of 11.98” which is about 304 nm. It has a depth of 7.88” which is about 200 mm. It weighs 2.7 lbs around 1.2 kg. 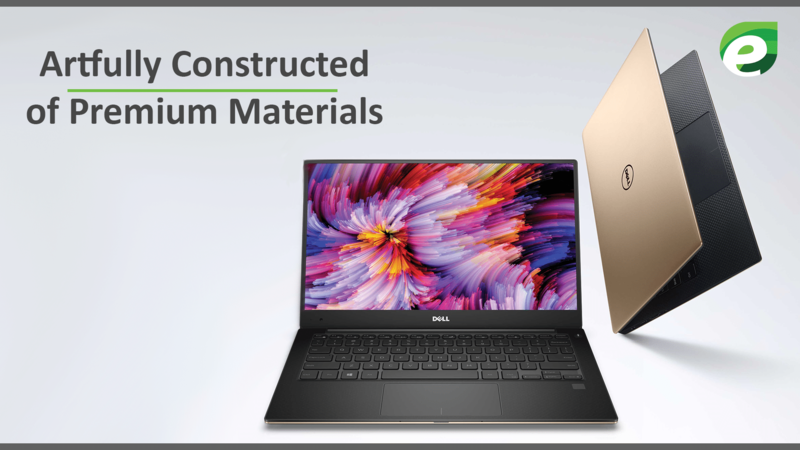 Dell XPS 13’s ultimate support experience from Premium Support Plus means new levels of performance. Automated systems health scans and protection from the virus makes your PC faster, cleaner and makes it more effectively. You can’t really prevent surges, drops, and spills, but Dell Accidental Damage Service helps to simplify recovery from them. So, many of the qualities of XSP 13 has been mentioned above. I hope you have liked all those qualities and are interested to buy the new XPS 13. So, in order to enjoy all these remarkable features go and get a new XSP 13 from the market.